Let’s dive deep, shall we? Requirements: You must have a paid Zoom account which has the same email address as your Workplace account, and your account admin must have set up the Workplace Zoom Bot. To enable: The admin will go to the Integration page of your Zoom account, in the Workplace section select Authorize. They will then login to Workplace and allow permissions for Zoom by selecting Install. To Use: The Zoom Bot can be added in a group post or 1-1/multi-party chat within Workplace. @Zoom start triggers the Bot to create a new meeting and post back the meeting URL that can be launched to start or join a Zoom meeting. The bot uses your existing Zoom account settings. @zoom help provides details on all available commands. You can stream your meeting or webinar live on Workplace by Facebook for your Workplace network to see. To Enable: In your Account Settings, enable Live on Workplace by Facebook in your Meetings Tab. As an administrator, you can also do this for an entire group in Group Management Settings. To Use: Start the meeting on your desktop client. On the More option of your meeting controls choose Live on Workplace by Facebook. Complete the resulting dialog box (where you want to go live), and click Go Live. Requirements: Must have a paid Zoom Video Webinar account which has the same email address as your Workplace account, and a Zoom Mac or PC application version 4.1.8 or newer. To Use: Start your Zoom webinar as the host. Click on More in the webinar controls and choose Live on Facebook Workplace. Once it opens in the browser, choose if you want to share it to your timeline, group, or event. Click Next, then enter the event information and click Go Live. You can also stream your webinar to Facebook (not just Workplace by Facebook) to share it live with your social network on their feeds. This allows panelists and viewers to join via Zoom while viewers also watch and comment on Facebook Live. Requirements: Must have a paid Zoom Video Webinar, and a Zoom Mac or PC application version 4.1.8 or newer. To Use: Start your Zoom webinar as the host. Click on More in the webinar controls and choose Live on Facebook. Once it opens in the browser, enter the event information and whom you want to see the stream, and click Go Live. 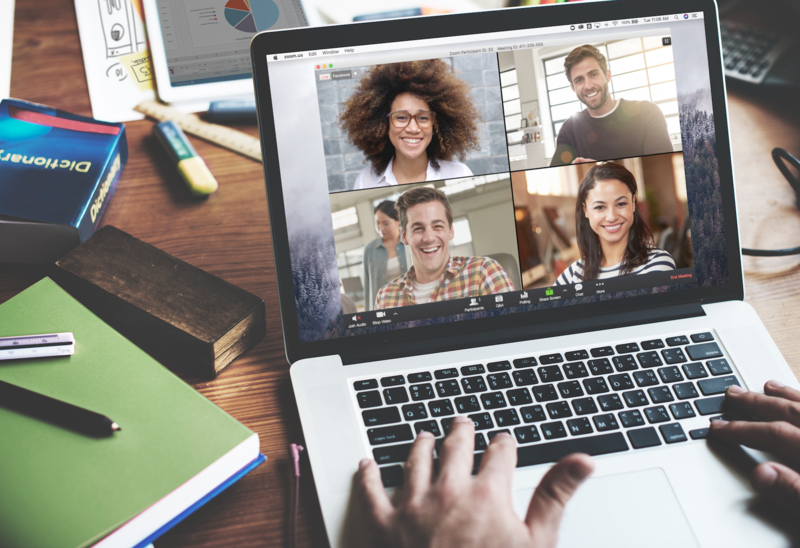 If you’d like to learn more about the even wider world of Zoom – integrations, new features, and our entire communications product suite – sign up for a personalized 1-1 demo with a Zoom product specialist today!